I will review the detailed report with you to make sure you understand everything and answer any remaining questions. A home inspection is a visual process where all of the items typically used within a home are tested and/or operated to verify proper operation or installation. Doors and windows are opened and closed, roofing materials inspected, air-conditioning and heating systems operated. The Inspector will fill the sinks and tub(s), run the shower(s), and flush the toilets, all the while making notes on the condition and operation of the components tested. Upon completion a report will be distributed to you. Radon is a cancer-causing natural radioactive gas that you can’t see, smell or taste. Its presence in your home can pose a danger to your family’s health. Radon is the leading cause of lung cancer among non-smokers and the second leading cause of lung cancer in America. The U.S. Surgeon General and EPA recommend that all homes be tested for the presence of radon. 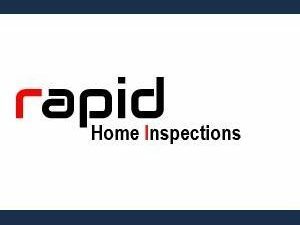 Enos Home Inspections is a qualified radon testing service, having completed the Radon Measurement Operator Proficiency course. We use measuring devices that are placed in the lowest level of the residence for a period of 48 hours, with the results available at the end of the test. Drinking water may contain several contaminants, some of which are hazardous, and some are not. Public water supplies are tested by the utility, and must meet stringent EPA standards. Nevertheless, even when the public water supply is safe, problems can originate in the distribution system. LEAD – Drinking water may be contaminated with lead. This problem may originate with the piping, fittings and fixtures in the home. Over time, water that is acidic or soft, may have a corrosive effect on piping, fittings and fixtures, and cause the lead to leach into the water. SODIUM – Homes that use water-softening systems may have excessive amounts of sodium in the water. Persons on a sodium-restricted diet may be affected. Water from a softener may contain 100 mg/l of sodium or more. BACTERIA – Well water may become contaminated with bacteria resulting from faulty septic tanks or decayed organic matter that may have washed into the well. Dug wells are particularly susceptible. Water is analyzed for coliform bacteria to determine whether or not it is potable. pH – Acid rain leaching into the soil has caused some water to be acidic (low pH). Acidic water can cause deterioration of pipes.